Engineered for seamless integration with leading home automation systems, our range of adaptive digital drivers provides a solution for every application. Eliminate time spent troubleshooting lighting control and get flicker-free, deep-dimming LEDs for your next project. 1. 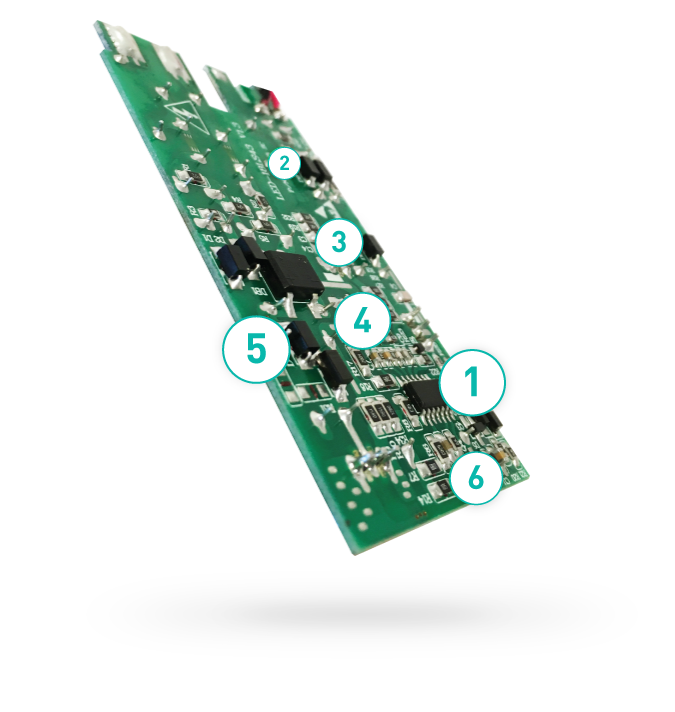 Smart integrated circuit provides seamless compatibility with leading edge and trailing edge dimming systems. 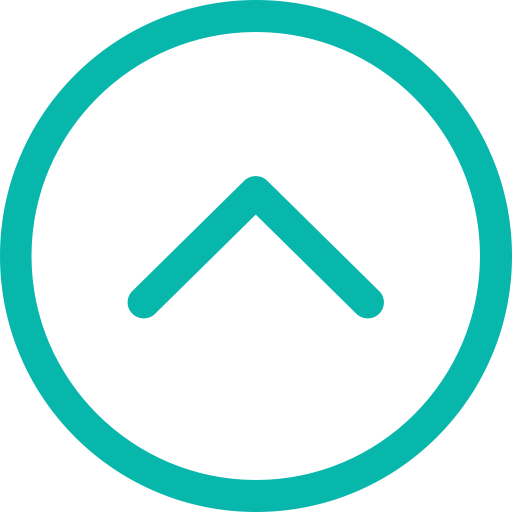 Our custom software digitally controls all components - providing flicker-free dimming from 1-100%. 2. Dummy load facilitates resistance release with a flyback stage for voltage regulation providing protection against spikes and hot switching. 3. Stray current clamping provides unmatched circuit protection. 4. NTC thermistor reduces hysteresis and offers thermal protection. 5. Closed loop feedback control system delivers highly efficient power factor and reduces harmonic distortion. 6. Multi-function transistor boosts the voltage signal to provide a market-leading, smooth dimming curve. Thanks to its smart IC and multi-function transistor, our digital driver regulates power input while simultaneously being able to pick up on the most sensitive voltage signals. 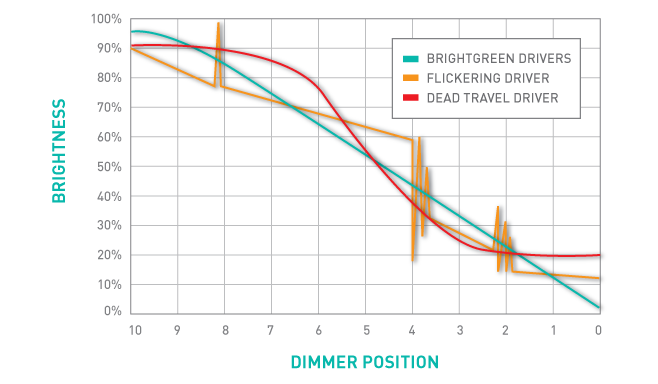 This eliminates the most common problems experienced with dimmers including: flickering, dead travel and ghosting. 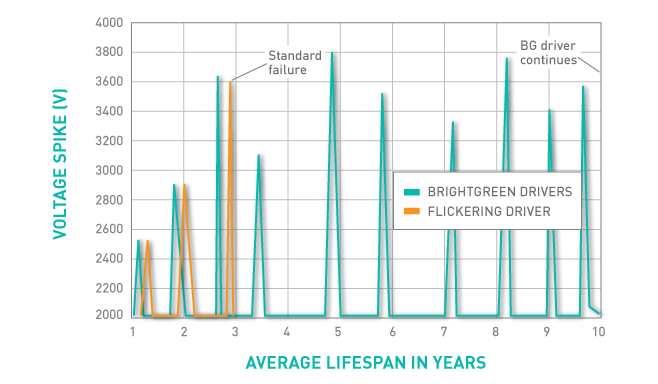 Able to automatically detect and adapt to a broad range of dimmers, our flicker-free driver technology surpasses industry standards to reduce the level of imperceptible flicker standard to most LEDs. Designed to handle unstable power supplies, our drivers come with advanced surge protection up to 4000V. 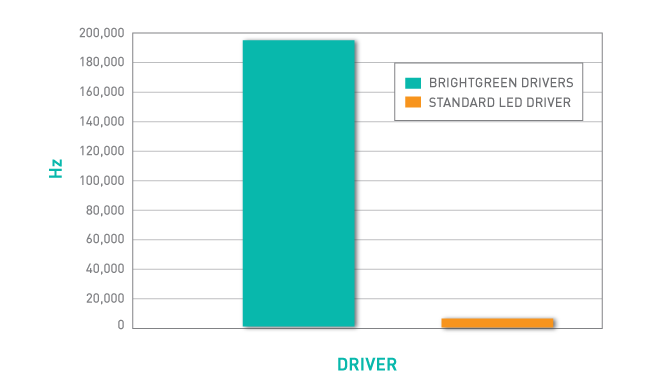 Read the research that informed our driver design here. Upload your floor plans and one of our Lighting Design Assistants will create a light plan especially for your space.